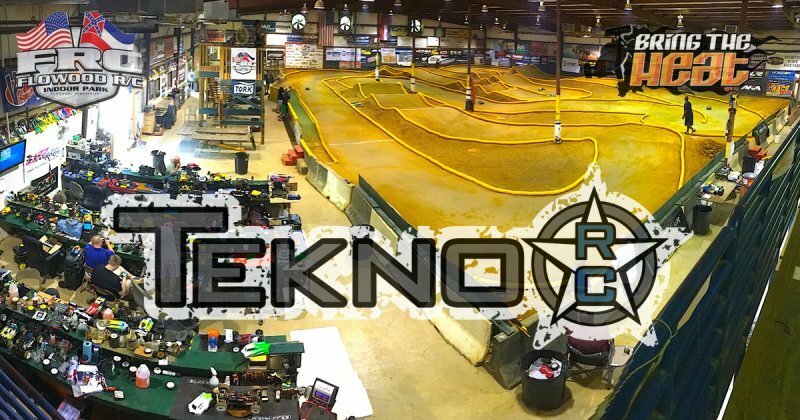 Tekno RC Wins At 2016 Bring The Heat! 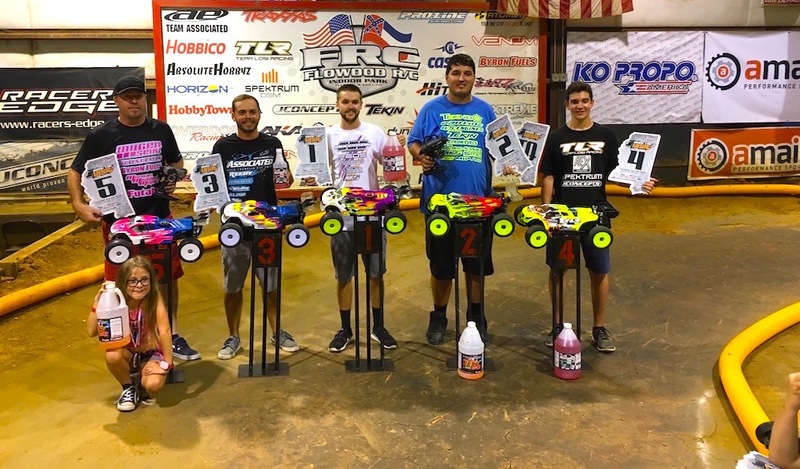 Tekno RC Wins At 2016 Bring The Heat Race! 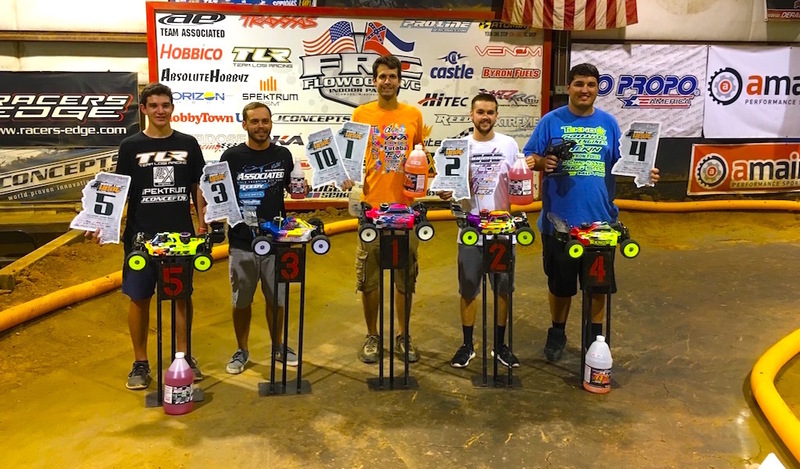 This past weekend the Tekno team descended upon Flowood, Mississippi. Ryan, Joe, and Matt traveled in to join with the strong Tekno contingent at this track. 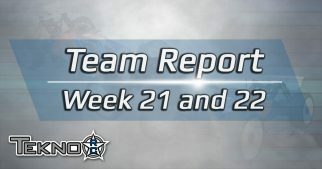 It was a standard format event with practice on Friday, Quals Saturday and Finals on Sunday. Flowood RC's crew has done a great job with the track layout. Well done! Once qualifying began, Ryan and Joe both found themselves running near the front. Ryan would TQ all 3 rounds of Nitro buggy. Joe took round one of EBuggy and Ryan came back to take rd 2 and 3. Then in Truggy Ryan took Q2 and Joe took Q3 and due to the tie breaker being single fastest run, Joe would TQ truggy and Ryan in 2nd. Joe also qualified 2nd in EBuggy. 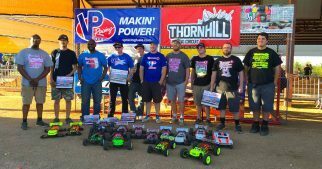 In a weird format change Truggy A main was the first race of Sunday morning. A 35 minute race. At the start Joe and Ogden got a couple second lead on Ryan but Ryan found a groove and caught up and took the lead around the first pit stop. He was able to stretch out about 12 second lead over Joe but on the second to last pit stop he crashed and was flamed out by the marshall who grabbed him by the sides. So now Ryan was about 3/4 lap back while Joe and Ogden battled for the lead. Ryan reeled them in over the ensuing 10 minutes and it was a 3 way race for many of the final minutes. In the end though Joe settled for 2nd and Ryan bowed out early with a mechanical issue. 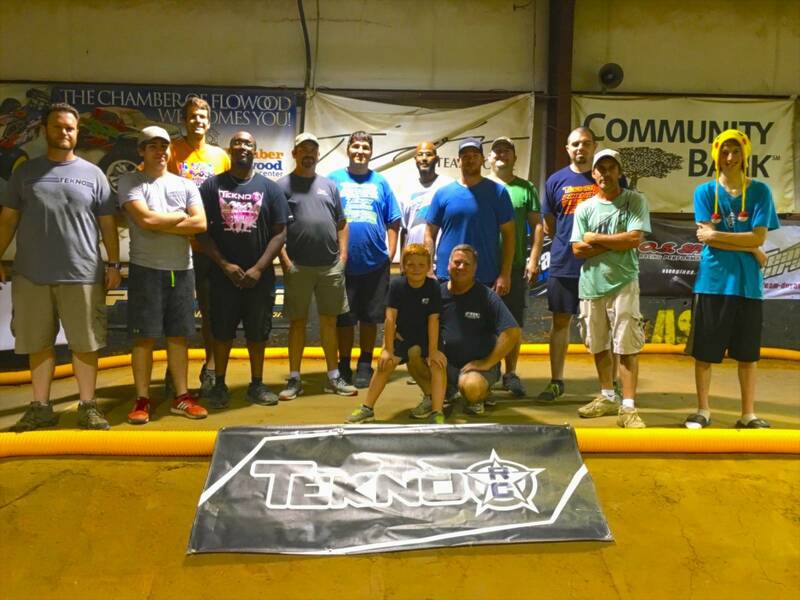 Tekno RC team and customers at the race. Thanks everyone! EBuggy had triple A main format with Ryan and Joe battling it out in all 3. In A1 Ryan crashed early while Joe led out but Ryan was in a groove on his nearly slick AKA Typos in Clay and was putting in fast laps. He reeled in Joe and took the lead and the victory. In A2 Ryan was leading out the first 5 minutes or so until he bobbled over the triple and popped a rod end off. Joe would go on to win A2. So A3 was the deciding race and it was close for the first 4 minutes. Ryan led Joe but they were within 2 seconds until Joe tumbled off the track. Ryan had a 4 second lead but Joe was pushing hard and a few bobbles by Ryan put Joe fresh on his heels. Then Ryan crashed over the back single Jump and Joe got a 4 second lead. On the last lap though, Ryan had got within 2 seconds and Joe got caught up in traffic that had crashed and Ryan was able to get by for the win and overall. Nitro buggy main was another 35min affair. At the start it was Ryan finding his groove again as Joe and Ogden got by putting Ryan in 3rd. Ogden started to get a bit of a lead as Joe fallowed behind. Soon though Ryan got by Joe as he had some missteps falling back to a battle for 3rd. Ryan got closer to Ogden and then suddenly was in the Lead. Ogden lost a lap having to do a tire change, so Ryan led out and ran a clean remainder of the race and took the victory by a lap and a half. Joe fought hard when Ogden came back out but he had to settle for 4th in the end. Lots of Tekno drivers did well throughout the weekend with many making the A mains. 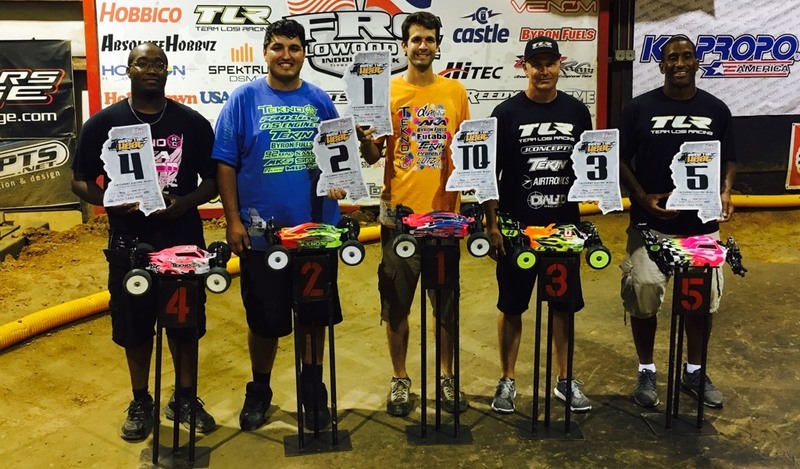 DeMarco Pendarvis took 4th in EBuggy. Many others placed well throughout the event. We want to thank Bubba and everyone attending for the hospitality and exciting racing. From the nice folks sharing jambalaya in the pits to the competitive racing on the track there was nothing more we could we could have hoped for! Joe Bornhorst Wins at Thornhill Grand Re-Opening Race!